Thanks for your interest in the deck! Glad to hear that you’re enjoying it. Probably the easiest cut for Force is Foil, they occupy the same slot but force is easier to free cast. It isn’t unreasonable to run both, you may even consider just cutting Counterspell or Arcane Denial. Mana Drain for sure cut Counterspell or Arcane Denial, just strict upgrade! For Glen Elendra Archmage the cut is tougher, you could consider cutting Venser, Shaper Savant, or something utility wise like Shimmer Myr. @Polupus hey thanks for the interest in my deck! I love Kami although my brewing time has been spent elsewhere recently. I have made a few changes that I need to update the list on. By far my largest change has been adding Expropriate in that I pulled out of a different list. I love all of your suggestions, and I also love how Kami can be built in so many ways and there are so many powerful cards! 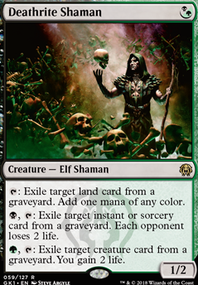 Metamorphic Alteration is an insane one - I love it and I’m going to find room to double up on Kami while also removing a commander. Pure beauty! Kederekt Leviathan has always been on my short list. I tend to favor instant speed board wipes as they enable me to play draw go which is my preference. But honestly the card is so powerful it makes me want to break that rule whenever I consider him! Nexus of Fate is 100% on my add list after it rotates out of standard. Just tailor made for this deck couldn’t agree more! That last suggestion is a spicy one, wow! I dig it, I don’t know if I can find the cuts for it but I love finding out about awesome random combos like that so thanks for the suggestions! Metamorphic Alteration is a very versatile clone effect that can shut down commanders turning them into an extra kami or go offensive turning your kami into giant monster since commander damage is tied to the creature card not the creature’s details. 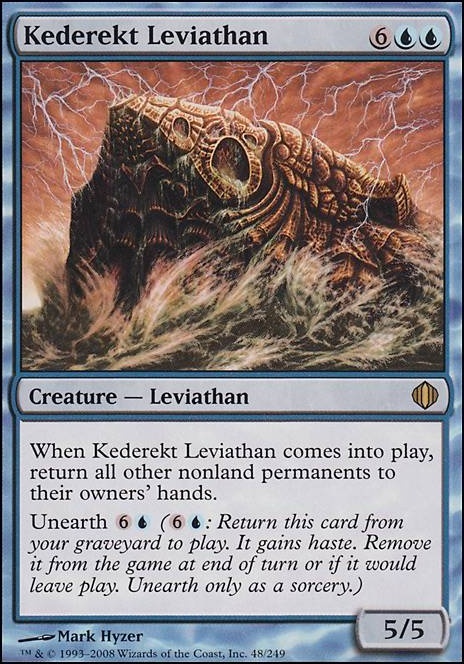 Kederekt Leviathan is a mass bounce that is actually 2 mass bounce spells. 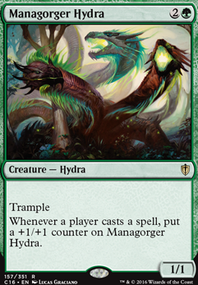 It can also loop with clones like Phyrexian Metamorph. It's expensive, but it can be discarded early game till you get the mana. Words of Wind is one I’ve just starting testing but it can turn all your draw into board control while letting you get value out of etb creatures and Paradox Engine. The other more subtle strength is it is another way to save you from decking yourself. 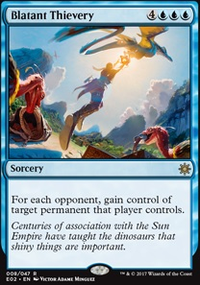 I don’t know how your group responds to extra turns but Nexus of Fate feels built for this commander. Last but not least is the combo with Teferi's Puzzle Box and Psychic Possession. 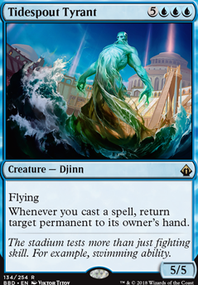 You draw 7+ per turn while everyone else has to tuck their hand, turning bounce spells like Capsize into hard removal. All in all I’ve been having a lot of fun with this guy! I hope you get some good use from these suggestions! Will def pick up a Nezahal, Primal Tide, Aphoticate, Sire Of Insanity might be a good pickup, you know. Niv Mizzet isn't... bad, but I am not a instant/sorcery deck despite that I run a number of them between the Dark Ritual, Cabal Ritual, Reanimate, Exhume, Buried Alive, Entomb, etc. effects in the deck. I do have the enchantment-reanimators for World-G-Dragon, but don't have an outlet for infinite mana and so will pass. The rest are a little much IMO. Avacyn, Angel of Hope and Archetype of Endurance are both possibly options... my issue is that they don't hurt the opponents. Still might be worth running, Unlife. 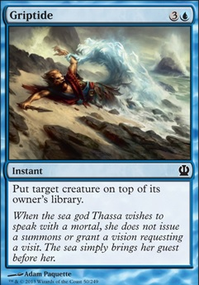 Aphoticate & Triton, I will get a Kederekt Leviathan, but it is more of a gimmicky-great card than a wincon. Jin-Gitaxias, Core Augur is imo the best target with Razaketh, the Foulblooded as a close second. The only reason I rank him second is you need at least one more creature in play to go ham. 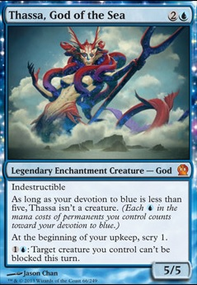 Other great ones are Consecrated Sphinx, Nezahal, Primal Tide. Pestilence Demon is a personal favourite of mine too.